We chatted with Enrico Orlandi, CEO of HWG, who shared some of the challenges he faced when he started HWG and how he overcame them. Enrico also outlined how the cybersecurity startup ecosystem in Singapore is different from that in Europe. Also, find out what keeps him up awake at night! Enrico is a seasoned professional in the security industry. A former consultant of Accenture, he also worked with Gartner Group to provide expertise on IT advanced Infrastructure solutions. He is highly experienced in the set up and management of large technology operations and he is focused on the delivery and roll-out of technical corporate infrastructures (networks and data centres), security, operational management and planning. “When we started HWG (in Europe), the most difficult thing was the size,” recalled Enrico. As most of the customers were much bigger than HWG, it was difficult to gain their trust, even though HWG was a small company capable of providing very good services that were necessary for these big corporations. However, in Singapore, there is “less prejudice about the size of a company”, added Enrico. They overcame these challenges by solving problems that their customers had, demonstrating that size did not impede their abilities to provide good services, and by going outside of Europe. “It is interesting for European corporations in that even though we are small, we have experiences in different parts of the world (one in Italy and one in Singapore) which made a huge difference in providing our type of services.” remarked Enrico. HWG looks to increase and consolidate their presence in Europe especially in countries like the UK, Spain and France and many others. Most of all, “extending services and solutions here in Asia, starting from Singapore and consolidating our presence here,” commented Enrico. They are also looking at different parts of the region that face similar issues. “In Singapore, there is more enthusiasm,” replied Enrico when asked about the cybersecurity startup ecosystem in Europe and in Singapore. “We found much more support to create an ecosystem and to connect industries which is something that is lacking a little bit in Europe. In Europe, industries and corporations are almost alone in finding solutions to protect themselves. In Singapore, there is much more encouragement from the government to create areas where companies can discuss and find solutions together,” explained Enrico. As a result, Enrico feels that there is much more synergy here in Singapore as compared to Europe (Italy in particular). He observed that startups in Europe tend to be more in competition rather than synergy, making it more challenging to find a common solution to solve a problem. Enrico’s advice for cybersecurity entrepreneurs is to focus on services. “(Cybersecurity is a) very good area, with a lot of things to do and a lot of approaches. There are opportunities in terms of products, solutions and tech but there are also opportunities like detection and response services that are very useful for companies. Soon, every company will need cybersecurity services.” As such, he feels that there is a huge market available especially in areas like privacy and Internet of Things (IoT) which will require a huge amount of solutions in terms of cyber-intelligence and cybersecurity services. “The most important thing that keeps me awake is the people – people that we have in our company,” said Enrico. He feels that they have to be trained at the maximum level with a very good knowledge of different things – not just cybersecurity – to be effective for HWG’s customers. “One thing that is very important is that cybersecurity cannot stand alone, but has to be applied to network, systems, applications and to humans,” commented Enrico. As such, just cybersecurity knowledge alone is not enough. The skills to apply are equally important. All in all, Enrico wants to ensure that they are able to provide the best for their customers in the most effective and efficient manner. “ICE71 is a very nice surprise! It is a lesson learnt that despite having arrived here (Singapore) more than 1 year ago, we did not know that we could leverage initiatives like ICE71,” exclaimed Enrico. 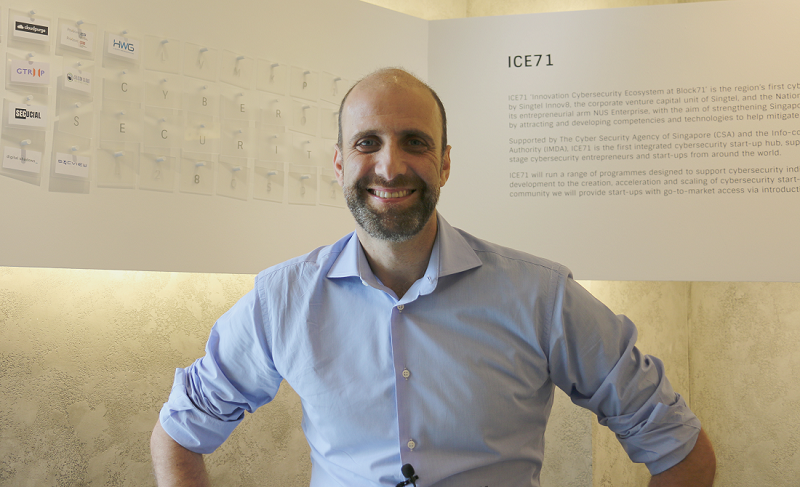 Furthermore, Enrico feels that the network ICE71 has is extremely useful and will continue to be useful in the future for HWG as he called ICE71 a “really good partner”. In addition, Enrico is excited to invite his partners, customers and prospects for meetings here because of the wonderful facilities ICE71 has. He is also grateful for the 24-hour site available here which is important for HWG as their service is deployed and implemented 24 hours a day and 7 days a week.  Founded 2008 in Verona, Italy, HWG is a cyber security company and network operator focused on the banking environment and highly complex IT corporate infrastructures. Located in Verona, with a second site in Singapore, HWG provides 24×7 security and infrastructure services in more than 20 countries around the world. HWG can leverage access to some of the most sophisticated security technologies and monitoring platforms world-wide and with its expert team can exploit these platforms to implement Managed Security Services and Managed Detection and Response services globally with its advanced Security Operations Centre. Our services perform so consistently that since 2011 we have been building security facilities and providing secure IT infrastructure to Central Banks as well as Telcos and top enterprise customers.